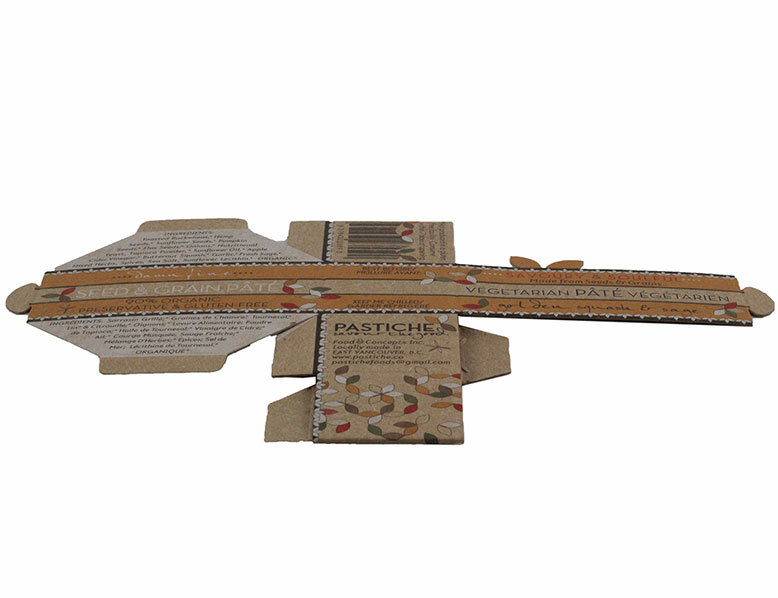 Pastiche is an artisanal food company that focuses on quality and locally sourced ingredients. 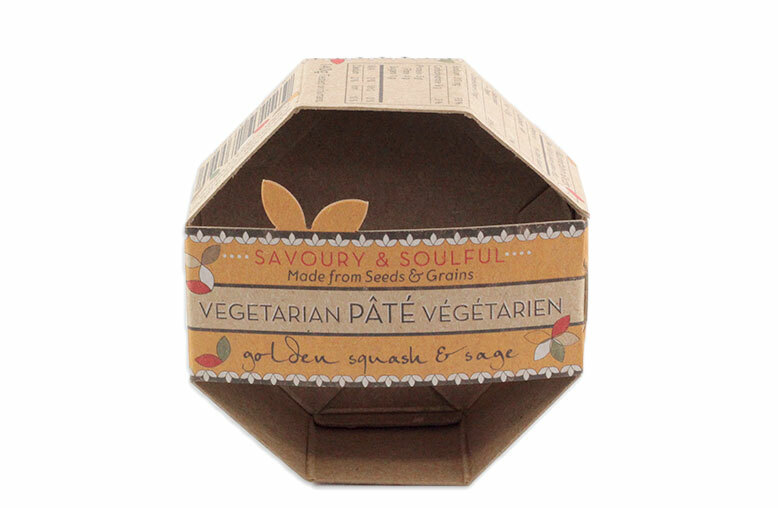 They make savoury and soulful pâtés made from ingredients such as buckwheat, hemp, pumpkin, sunflower and golden flax seeds. 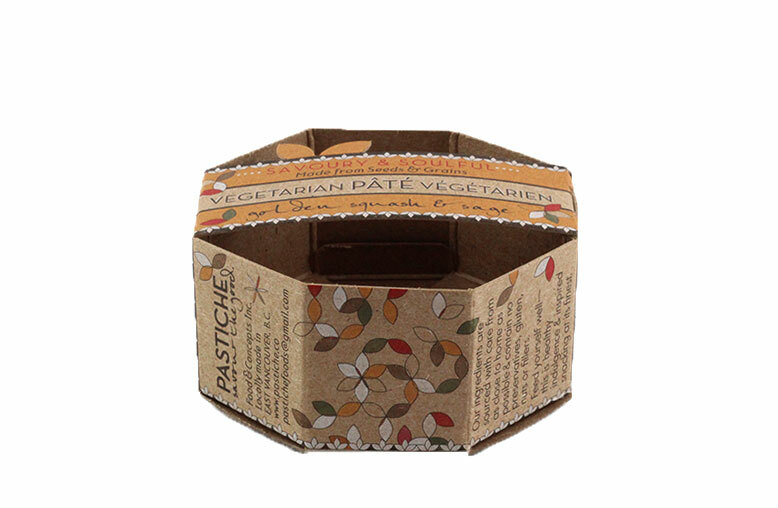 We worked with Pastiche on its retail packaging. 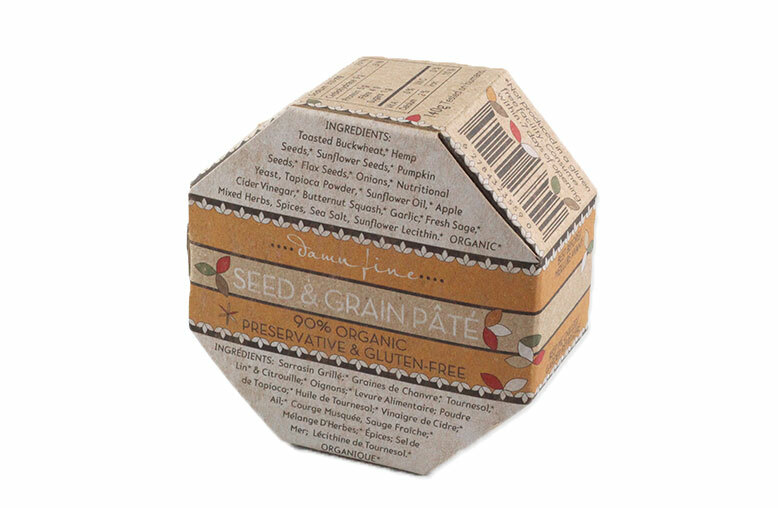 The design is an octagon type of box made out of chipboard that wraps around its product. We really like the way the product looks inside the retail packaging. 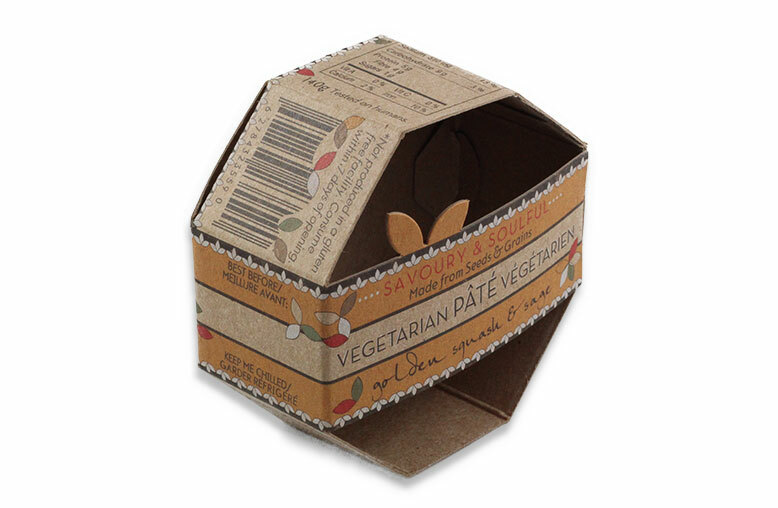 The chipboard and graphic elements blend well together and gives the product a clean, healthy and high quality look. For more information or options for retail packaging, please contact us.